If you don’t like the flavour of your commercial toothpaste, you should make one yourself, rather quitting the good habit of washing your teeth twice a day. Preparing toothpaste not only adds an element of fun in your life, but also helps you cut down your budget to a great deal. In the meantime, you can easily avoid plenty of artificial ingredients, which might prove dangerous to your health. The list of these ingredients includes sweeteners (usually saccharin), emulsifiers, and preservatives. Therefore, making toothpaste at home has plenty of benefits. It is not a tough procedure at all. First of all, put half cup of baking soda in a mixing bowl. 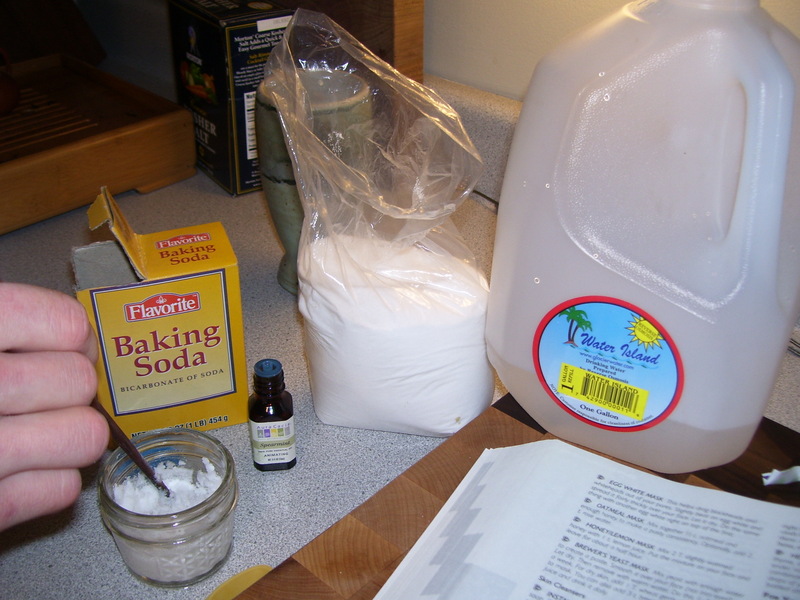 Baking Soda naturally has cleansing ability, and almost all commercial companies use it in their toothpastes. It not only cleans your teeth, but also whitens them. It is not essential, but you can also add a quarter cup of table salt. The second step is to add nearly 15 grams of glycerin for every quarter of the dry material. This is also not an essential ingredient. One can also add xylitol, which is sugarless on contrary to glycerin. The latter ingredient is not recommended though. Now, you need to add a quarter cup of household hydrogen peroxide. After that, you should add only one drop of peppermint oil, or any other oil you feel convenient with. The former of the two ingredients works as an infection killer. It also adds whiteness to the teeth. On the other hand, the peppermint oil is essential to add freshness. Make sure that you keep hydrogen peroxide away from sunlight, because it quickly breaks down in the presence of UV light. Don’t add too much quantity of anything, because acids do produce fizzing reaction with the soda. The time has come to shake it well now. You should keep mixing hydrogen peroxide and baking soda, until it turns into a paste. After getting the required material, you need to store it in a small plastic container. Make sure that your container is air proof, because the paste might dry out.